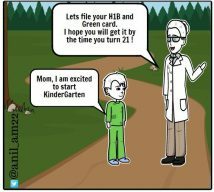 Do H4 Dependent has to Leave US when he turns 21 with dad on H1B waiting for Green Card? Yes, you will have to leave unless your parents (including you) get their Green card before your turn 21 due to ‘Ageing out’ in USA immigration law. Car insurance basics for h1b visa. Only Liability insurance is mandatory at state minimum values. Save money on montly premium by not buying optional cover. CKGS passport refund policy allows to return consular fee, shipping charges, ICWF Fee, CKGS application Fee, Convenience Charges, SMS Services, Other VAS. Change in Appearance Form required if you have beard, moutache, wear glasses, turban, gained / lost weight and aged. CKGS may reject application if change found. Don't worry if you forgot to upload photo on NRI online passport as it's optional. Send NRI form with glued paper photo. 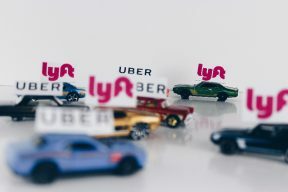 Uber driver gets green card faster than Indian high skilled doctor on H1B visa in 2018. US green card system favors low population country with low share of skills.